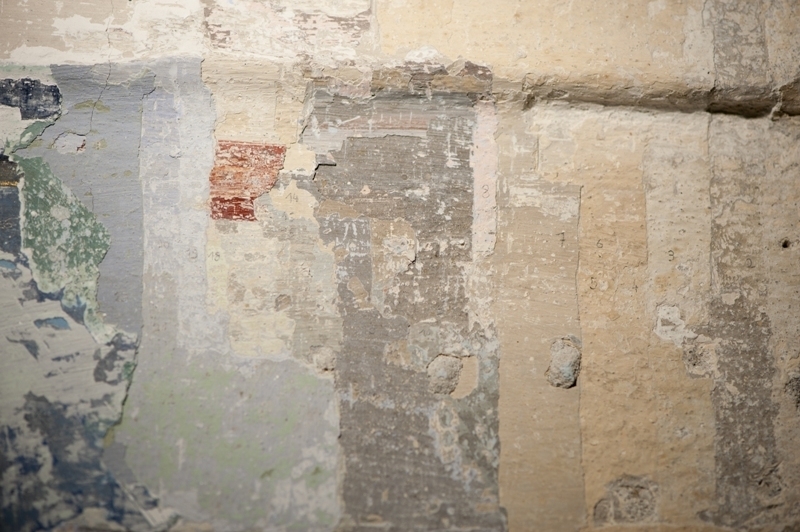 During the general renovations in 2010, the layers of paint applied since the construction of the building were examined, revealing a total of 29 layers. At the time of the composition of the Christmas Carol “Silent Night” in 1818 the room was light brown or grey, and later was darker with a pattern. A sample is shown.